If anybody has a picture of a mile marker or bridge marker with two designations on it, please post it here. AR 8 and 88 are signed together, so concurrency or no? AR 8 and 88 haven't been dual-signed in a long time. I’ve never seen it. Usually one highway takes priority over the other(s). I’d be glad to GSV it once I’m at my laptop. 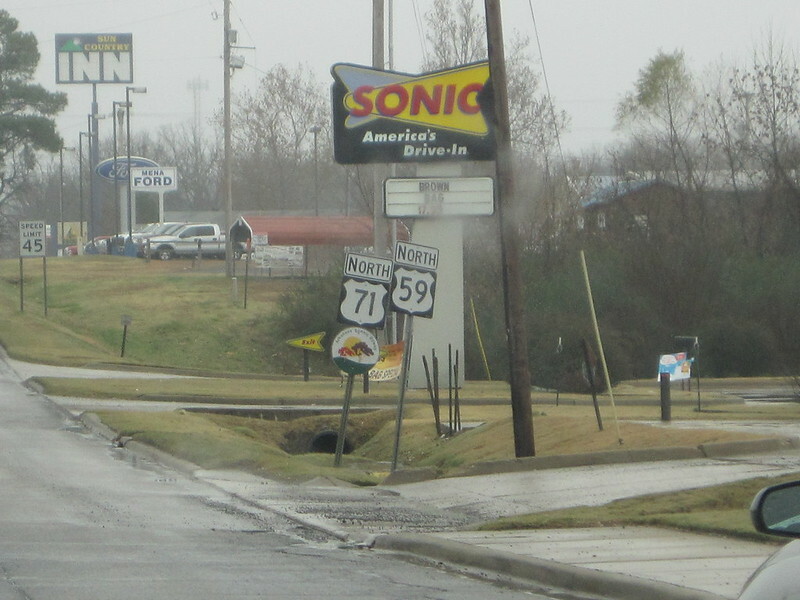 On the white square bridge markers, one highway is usually the "priority" road and is posted on the marker (like 67C at Searcy). AR 8 and 88 haven't been signed on US 59-71 in at least 10 or 15 years. The brief AR 8-88 duplex on Main Street was deleted in the mid '80s. That is a semi-error. It doesn't mention AR 8 heading west from here. There are no trailblazers along the main highway any longer. That's what I was talking about. 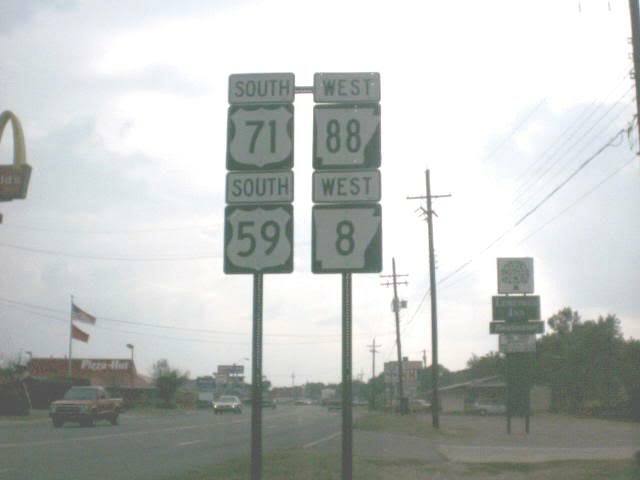 Here's a picture of when all four highways were signed, circa 2000. Here's what it looked like in 2009.